One other pre-note: The latest Moyes Matrix bag doesn’t come with backpack type straps. The old bags did, but I walked 1200ft down a mountain with one of them, carrying my glider/harness and swore the whole way because the high shoulder straps let the harness backplate dig into my legs. 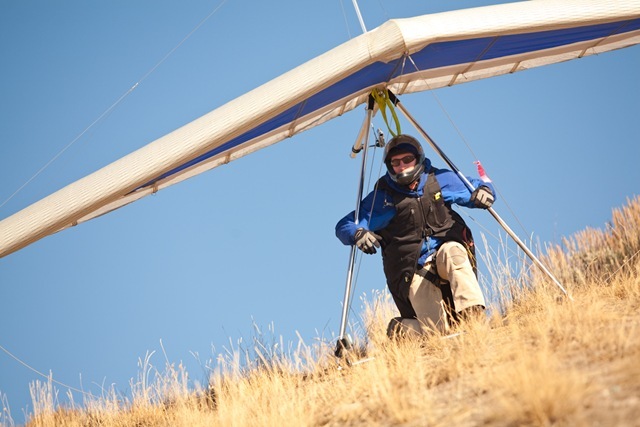 Mark Windsheimer (http://www.airtimeabove.com/) fixed the problem by sewing up better shoulder straps and a waist belt. It’s been great for carrying the 100lb Atos when I land deep in no-mans land, or for hiking my flex wing up a 600ft hill once in a while. I can’t say enough about the craftsmanship. 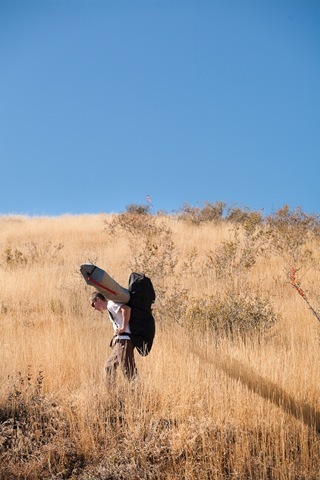 Since our main local site has a 80ft hike up, this backpack has been priceless. Get in touch with him and he’ll hook you up. OK, so, about the LiteSport 4 (149sqft). I’ve had the pleasure for almost 7 hours and 8 flights. Keep in mind that my flex wing perspective is limited to king-posted flexies only. The first 3 LiteSport landings were heavy, but the following 5 have been 2 step, catch her on your shoulders landings. It’s pretty easy to land, even if my technique is sloppy. 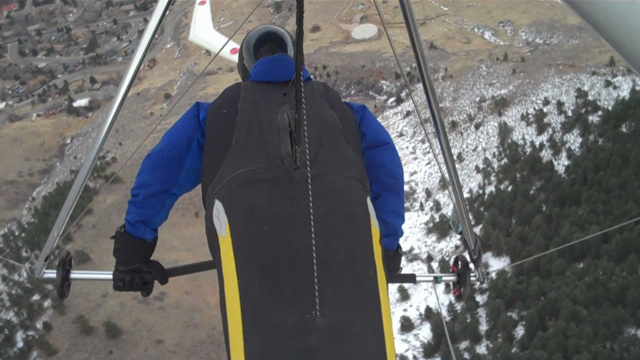 I’m 165lbs and the optimum pilot weight on this glider is exactly 165lbs! 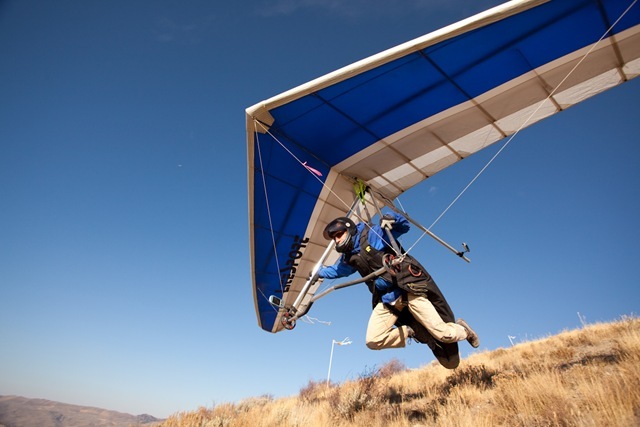 This glider can be tuned a bazillion different ways. I’m pretty sure it’s close to stock tune. So you know what I’m biased towards, I’m moving up the Flex wing performance scale for aerobatic aspirations. If I wasn’t into aero, I’d fly into the sunset on my Sport2, It’s AWESOME! My initial comparison was that the LiteSport’s happy to bank up more than my Sport2 in light lift while maintaining my climb rate. Maybe all higher performance wings are like this because of their efficiency and energy retention but it’s somewhat poetic how you can bank up more for half a turn and use a little yaw input to flatten out the other half. The Sport2 is AWESOME at making the most of flat turns, but it just won’t keep climbing in the light stuff once I bank it up past a point. Pitch inputs are more effective than I’m used to. At 1/4VG, the bar is also more raked out than I’m used to, but at bank angles 30+ degrees, it seems perfectly happy to accept this position. Maybe it’s because of its energy retention, but I can let/push the bar out during a turn, and it has the energy to tighten the turn without mushing. It’s awesome. 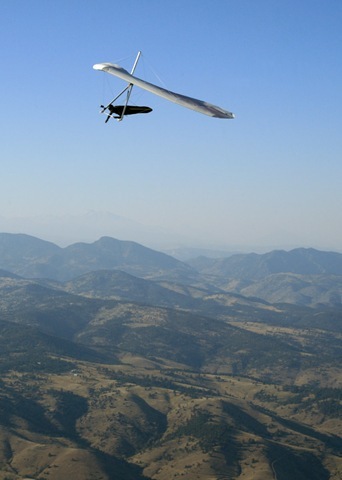 It’s a different way to fly, and very engaging. 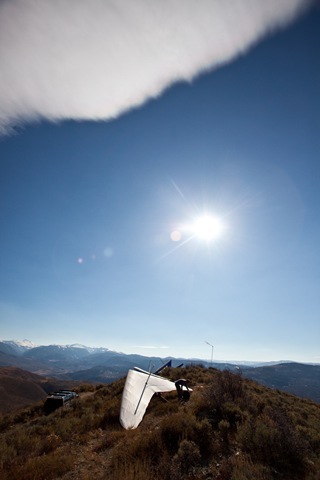 Stalls: I’ve become very comfortable working sometimes bumpy air very close to the mountain in my Sport2. I’ve been careful to stay an extra margin away from the hill as I figure out my new boundaries with the LiteSport. SO, I was flying around 29mph (best glide or better I think) and got a tip stall in a turn from some rowdy air and found the stall/recovery pretty dramatic. The inside wing stalled and I was slipping/diving, losing about 60ft real fast! I haven’t stalled it on purpose yet. When the air is rowdy I have to remind myself to keep light control inputs. If the Sport2 is turkey dinner, then this thing feels a bit like my first Thai dish when I get too adventurous. The 2nd most stand out thing from my perspective was the energy retention. 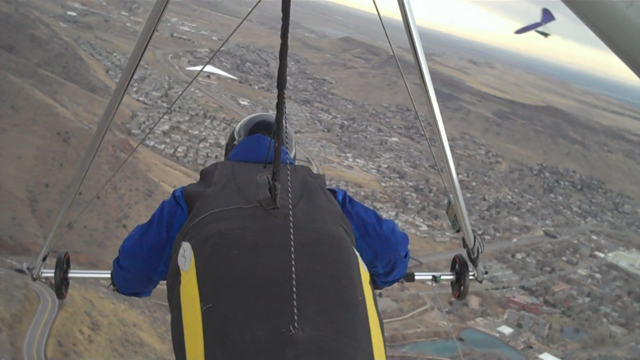 Doing some figure eights and sometimes mild wing-overs at 3/4VG I was finding that the gaining altitude part of each was easier to manage. Seems like I could feel the timing better when I needed to add/reduce roll input so I don’t end up pointing straight up, but I still gain enough altitude to manage speed. Also, I can do 4 full figure eights in the LiteSport and it feels like I’ve only lost 2/3rds of the altitude my Sport2 would have. That’s better than a free Chipotle burrito. I’ve flown a U2 for a little under 2 hours and I remember enjoying the way that thing would so easily bank up into a thermal. My dusty memory would say the U2 was a little more responsive than the LiteSport. During my first speed runs, and at full VG and 50mph I noticed a PIO tendency, but it was easily dealt with by changing my ham fists to cornish hen. I also was able to keep up with Steve on his LiteSpeed 5. Relative to each glider’s weight ranges, I think he’s a good amount lighter than me on his so my keeping up makes some sense. But, regardless, that’s quite a feat! She goes. In spite of being the “ideal” weight for the LiteSport 4, I’m torn somewhat because while glide performance and handling are uber important, sink rate still holds priority one at my local site. This 10yr old LiteSport really held my weight amazingly, but I’m pretty sure the sink rate on the bigger Sport2 was a little better. Luckily, because of Mark Windsheimer’s generosity, I’ll be able to try a LiteSpeed 4 and maybe even at 4.5 in the future. If I had to guess, a LiteSpeed 4.5 is going to be my unicorn. These comparison’s are priceless before making a glider purchase! Thanks Mark! My wife and I will be in Littleton for about a month this August and I’ll be bringing my Falcon 3 and hope to get some flying in. Can you tell me if the Aero tow park is open weekday’s and what’s needed to fly any of you sites. I’m a hang 5 with 37 year’s of flying. Thanks for any help.